I just came across moreloveletters.com, and it is pretty lovely. 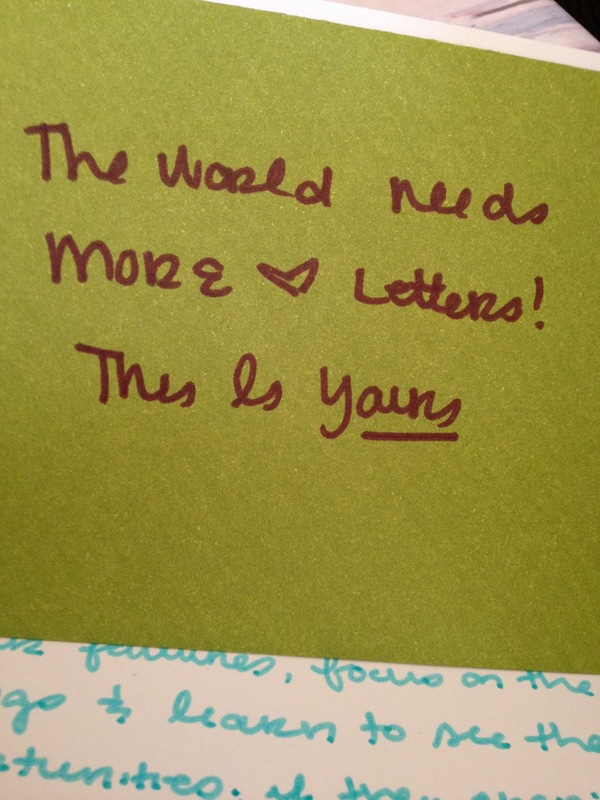 It is a community of people that write love letters to someone who needs one. You can nominate someone in your life who is having a rough time, and within a few days, they will be getting a huge dose of love from people all over the world. They also have a section called “found love letters”. Apparently there are people out there sneaking around hiding love letters in nooks and crannies all over the place, and maybe when you need it the most, you can find one. People take pictures of their found love letters and send them in to the website, and describe where and how they came across it. Some of the reactions are so sweet, and it’s nice to think of someone who is struggling finding one of these notes and knowing that somewhere in the world there is somebody who cared enough to take the time to hide a secret love letter. Maybe this weekend I’ll give up a few minutes of soaking up the sun, and take the time to spread a little love around.